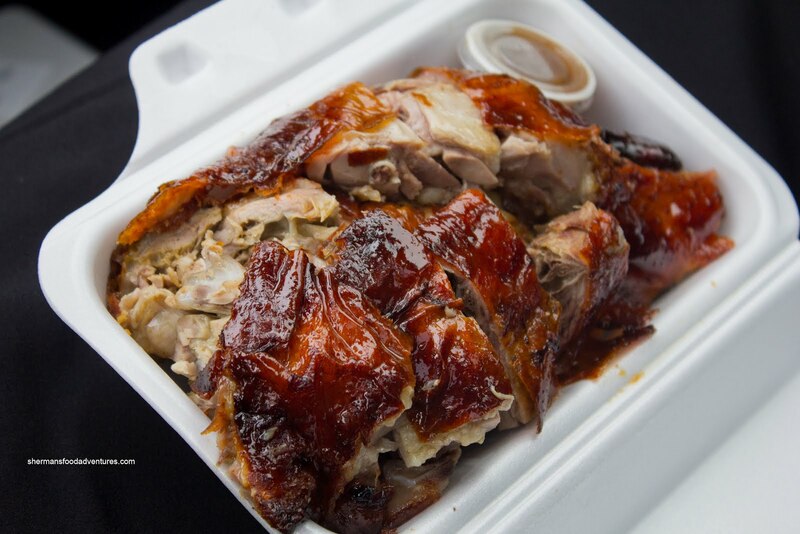 It seems like that we've been settling for T&T BBQ as of late. I say "settling" is because we all know that T&T is never the first choice for anything, yet it is definitely the most convenient. Take their groceries for instance. If the items are not on sale, they are generally more expensive than most other stores. Look at the baked stuff, it is acceptable while not great (expensive too!). Their cooked food can best be described as average (not as good as Kent's or Top King). 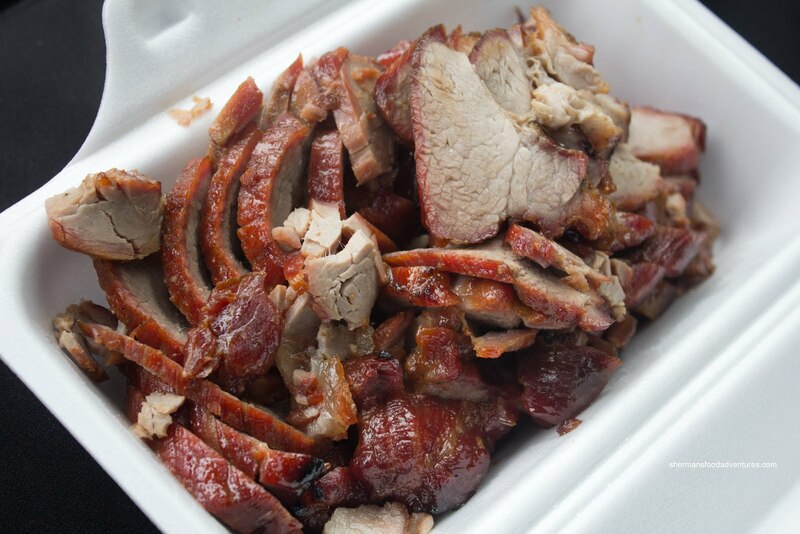 Lastly, their BBQ'd meats are serviceable, but really do not hold a candle to s uch big boys like HK BBQ Master and Parker Place Meats. So for the next little while, I will resist the urge to be lazy and actually visit random Chinese BBQ joints in hopes of finding the next "gem". First up is Teemway BBQ & Fresh Meat out on Victoria Drive. I decided to go for 3 meats including the Roasted Pork. Now by virtue of using various parts of the pig, it is hard to compare head-to-head with a place like HK BBQ Master because they use strictly the belly. 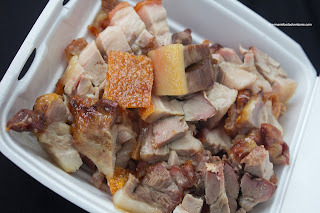 With that being said, the pork at Teemway was more than acceptable having a crunchy crackling and well-seasoned meat. Since it wasn't the belly meat, it was naturally less moist and fatty. I wasn't a huge fan of the their BBQ Pork though. It was pretty bland and extremely dry. To be fair, the 2 pieces of pork were lean, so it would naturally not be very moist. However, even with that in mind, the pork was almost chalky in the centre. Furthermore, there wasn't enough "sauce" to keep the exterior moist and flavourful either. Lastly, I got half a BBQ Duck and it was fairly plump. There was plenty of meat on the bones and it was well-seasoned. The meat was a tad dry, yet not terribly so. The skin was slightly shriveled (and I took the picture as soon as I got into the car). 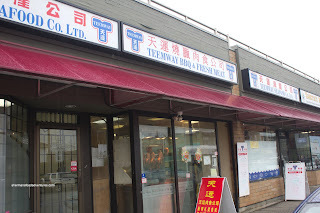 For the items I tried from Teemway, it wouldn't necessarily make me want to escape the convenience of T&T since the stuff was pretty comparable. Yet, much like T&T, the BBQ items are serviceable and would be a decent option for those living nearby. @LR Thanks for the suggestions. However... Some of those are already in the queue! LOL... Not to give anything away, but I don't like the one at Crystal Mall (downstairs). There's 2-3 more BBQ places in Chinatown, one is the Money's main store on Gore IIRC. Don't forget places like Daisy Garden (Kam Gok Yuen), Congee Noodle House/King, HON's Wun-Tun etc. are all purveyors of various BBQ meats and marinated proteins, although I really don't know if they make their own or buy from another local supplier. This Teemway BBQ store was the worst place for pick up BBQ, I had purchased a whole BBQ chicken and paid for the full price. When I got home and open the box, I noticed that two chicken legs were disappeared from the container. NOT a very honest place to shop.